How does watching sports on TV match up to seeing the event live in the stadium? 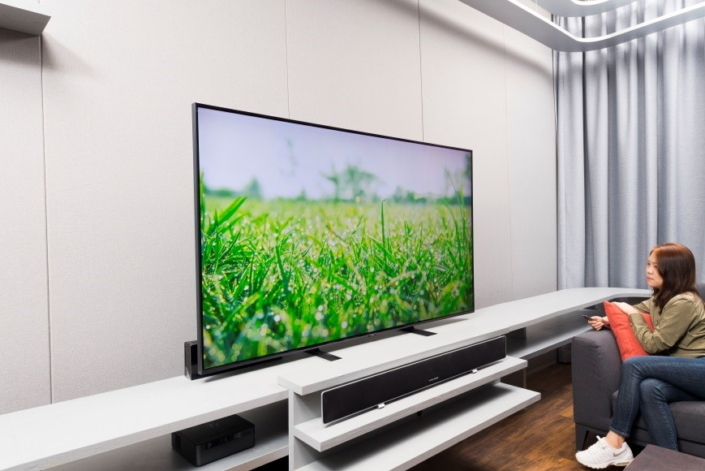 Samsung’s 2018 QLED TVs were designed to deliver a strong sense of presence, with the sights and sounds of the game so true to life that viewers might think they can smell the grass. With AI-enhanced searching, supersized screens, extraordinary picture quality and sound optimized for the game, 2018 QLED TVs are ideal for watching live sporting events. 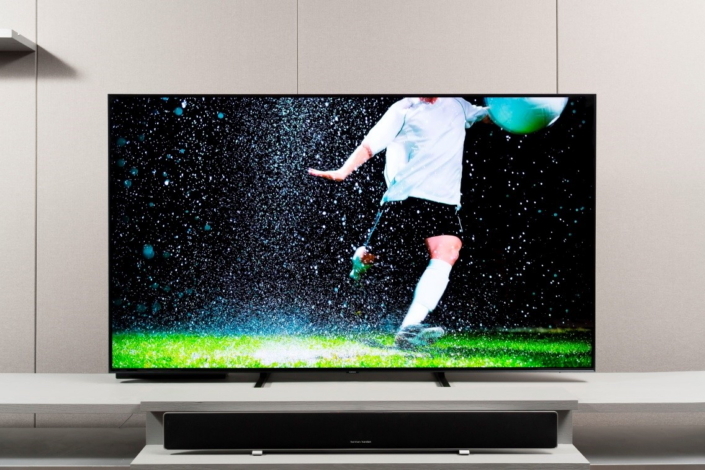 Samsung Newsroom sat down to catch a game on a 75-inch Q9F model and determine whether a QLED TV can capture the feverish excitement of the stadium. With so much sport available to watch this summer, viewers might need a little help locating the events they want to watch. Samsung 2018 QLED TVs are furnished with Bixby and a Universal Guide, two intelligent features which make browsing for content even easier. Bixby, the intelligent assistant, allowed the Newsroom to search for the team or game they wanted to see using a simple voice command, without scrolling through the schedules of every TV channel looking for content. So when viewers pressed the microphone button on their remote control and said, “Find Channels Showing Brazil Games”, a list of matches played by Brazilian teams appears on the screen. The Universal Guide is equipped with a specialized Sports tab that recommends relevant content provided by the TV’s cable and satellite connections, as well as online streaming content, in a single place and prominently displays the titles of on-air sports games at the top of the screen. When the grand stadium appeared on the 75-inch screen, the Newsroom gasped with delight. As they sat back to watch the TV, the green grass spread out lusciously before their eyes and all had the feeling that they were present at the live event. A big screen is critical to this sense of immersion. That’s why 2018 QLED TVs offer a full lineup of large screens – up to and including an 82-inch model. When watching TV together with family or friends, people sitting at the edges of the group can often feel left out of the action, unable to see the full picture due to glare. To ensure that there are no more elbow-fights for a prime spot on the couch, Samsung QLED TVs have adopted Anti-reflection technology, making every seat the best spot for taking in the game. Anti-reflection also reduces the TV’s reflection of surrounding room lights when watching in the evening, so that viewers can see everything comfortably. The screen even captivated the audience from a distance and viewing was uninterrupted from any position around the room. 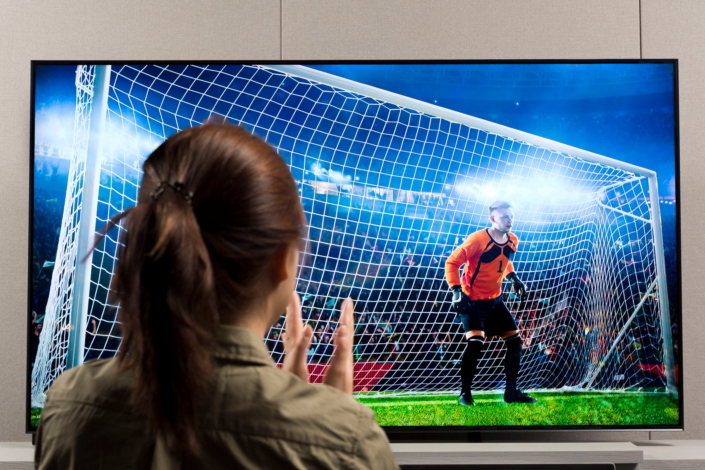 The QLED TV’s 4K resolution gave the Newsroom a dynamic view of players’ movements. 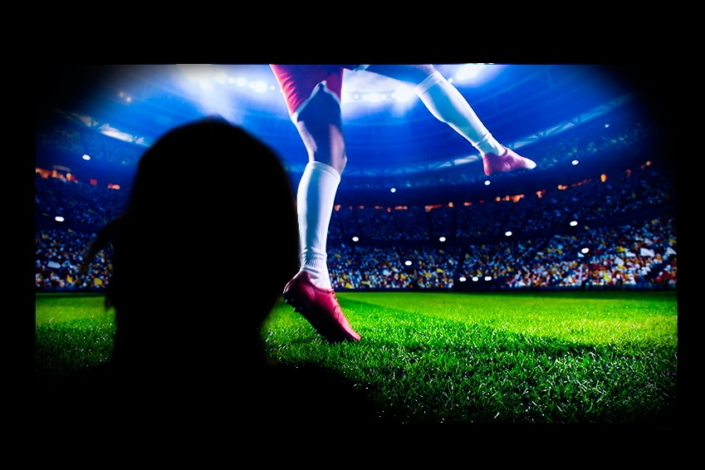 When watching sports on conventional TVs, the picture can appear blurred or broken because of the fast movements on the screen. However, the QLED TV guarantees clean picture quality with a 4K Q Engine, which automatically improves image quality and expresses hidden details. Even viewed in the dark, Samsung 2018 QLED TVs fully expressed every small detail, like the sweat dripping from players’ foreheads, the players’ feet deftly maneuvering the ball around the field and the texture of a patch of turf flying from the ground. Direct Full Array technology ensured accurate and solid picture quality by controlling the individual brightness of the numerous tiny cells that light the screen, thus enhancing contrast around bright colors. Under bright lighting, quantum dot picture quality shined through. Samsung 2018 QLED TVs are equipped with 100% Color Volume, which rendered the vivid realism of the stadium, regardless of ambient brightness. In addition, HDR (High Dynamic Range) 2000 technology expresses up to 2000 nit of brightness, which allowed viewers to clearly see the trajectory of the ball against a backdrop of bright colors from the sun, spectators and signs, or distinguish the back number of a distant athlete. At a live sporting event, layer upon layer of sounds from all around the stadium create a rich tone that is utterly unique. The melodic chants of the crowd, the sharp blast of the referee’s whistle, the shouts between players and the quiet hush before a crucial moment all blend to create an electric atmosphere. QLED TVs up the intensity of sounds by automatically optimizing sound mixing according to the content displayed. The viewers put away their remote controls and were fully immersed. Understanding the difference between the spectators’ roars and commentators’ voices, the automated technology helps users focus by lowering the volume of surround sound when commentators are speaking, but raising the volume of the crowd at moments of excitement. In sport, winners and losers can be decided in a split second. 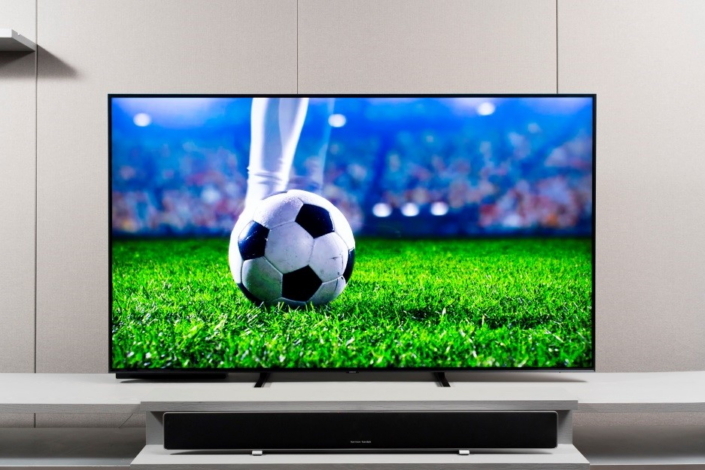 Watching sports on a Samsung 2018 QLED TV, viewers can enjoy every minute and every second, as if they were really there. * Product specifications may vary depending on models and locations.